Check out the top 10 plays of 2014 from the Pelicans' Anthony Davis! Check out the top 10 plays of 2014 from the Hornets', Anthony Davis! About the NBA: The NBA is the premier professional basketball league in the United States and Canada. Check out the top 10 plays of 2014 from the Hornets', Anthony Davis! 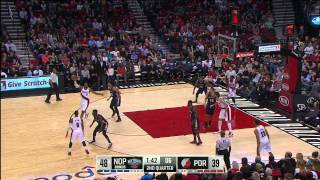 Repeat Anthony Davis' Top 10 Plays of 2014 ... Choose your time range using the slider.